This post contains affiliate links. Thank you for supporting the brands that I adore. I’m going to be really straightforward — I am not a cookie person. I’m not much of a sweets person in general. That’s why my mind was blown when I made these cookies, and literally could not stop eating them. Candied pecans are always a winner, and the rosemary adds such a fun twist. 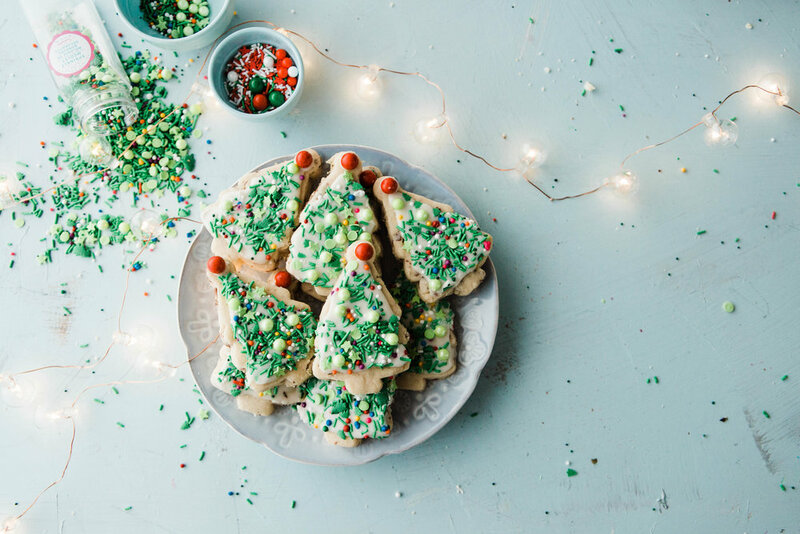 Your entire home will smell like the holidays while these bake, and your friends and family will not be disappointed when you bring these to a gathering this season. The best part is how amazingly simple they are. 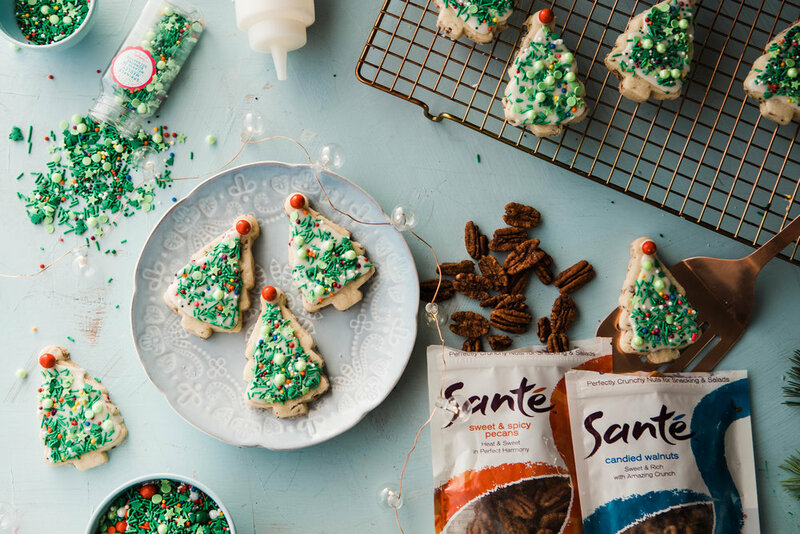 And stay to the end, because Santé Nuts is spreading the love this season with a giveaway! You’ll be able to catch details on that below. There’s really two special things that makes these cookies stand out. The first is rosemary, which…I mean…you really can’t go wrong with rosemary. It adds this subtle fragrance and flavor to the cookies, and really does a great job bringing out the deliciously sweet flavors. The second is the candied pecans from Santé Nuts. Oh boy…let me tell you. I had to grab a second bag of these for the cookies, because I realized me and my children had already wholeheartedly consumed the first bag in a matter of minutes. I like to imagine, that in my paradise world, everything I eat tastes like these pecans. They are sweet, buttery, and dangerously addictive. Put the two together, and you have some seriously killer cookies. 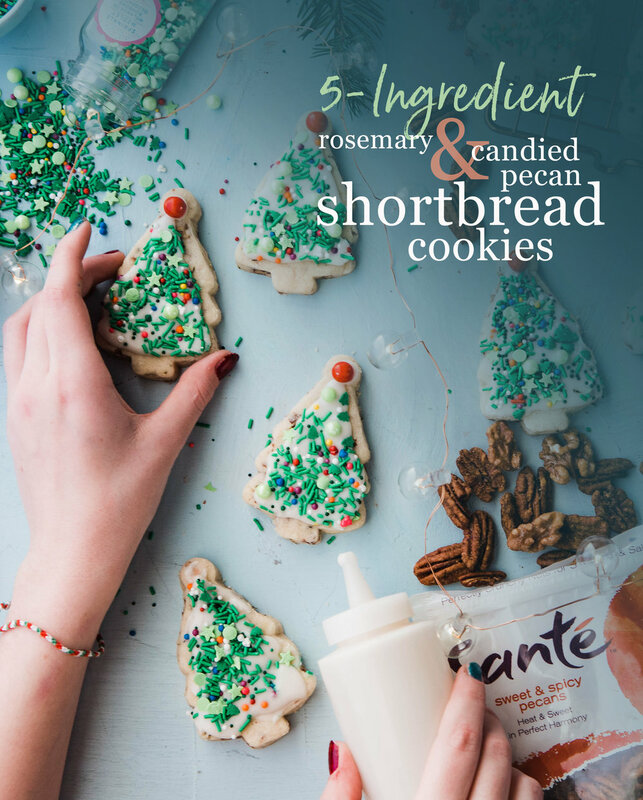 Rosemary and candied pecan shortbread cookies sounds like a fancy pastry you’d pick up at a French bakery, but these are actually the most simple cookies you will ever make. The candied pecans from Santé Nuts are already prepared to perfection. It’s as simple as chopping them up and adding them to your cookies. No worrying about the sticky, messy, molten hot sugar lava that comes with candying nuts by yourself. And with a total of 5 ingredients, you’ll be finished before you can “accidentally” eat another entire bag of candied pecans. Mix butter and sugar together until well combined. Add in flour and stir until barely incorporated. Don’t overmix. Gently fold in candied pecans and rosemary. Roll dough out to about 1/4 inches thick and use cookie cutters to cut out your favorite holiday shapes. Bake for 25-30 minutes, on a nonstick baking sheet, just until the edges are barely brown. Remove from baking sheet and allow to cool before decorating. Mix until well combined. Outline on cooled cookies and allow a couple minutes to harden. Zig zag in center of cookie and allow icing to spread to fully cover. Decorate as desired. 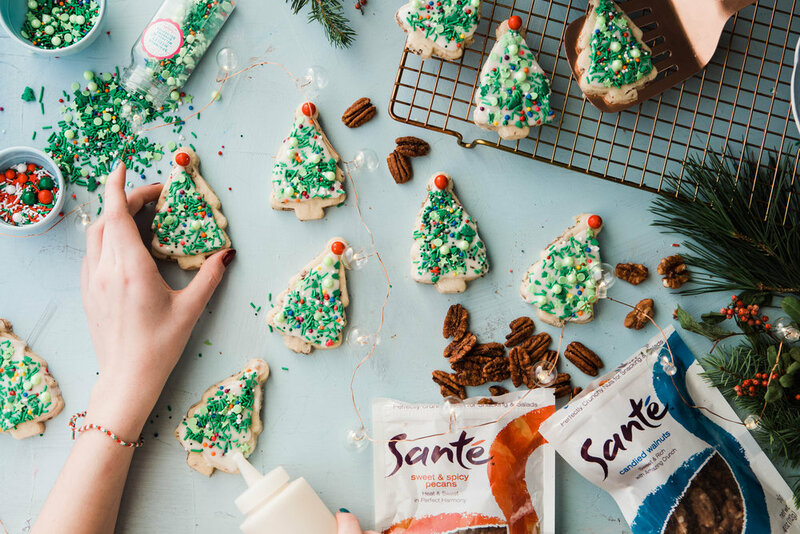 Santé Nuts is spreading the holiday cheer this season with a giveaway! For all the details, head on over to my Instagram @brookelark to get all the deets.